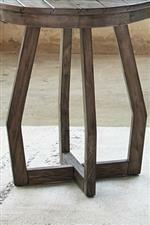 Crafted from reclaimed wood, this beautiful end table presents a wonderful style highlight for your living room. Featuring a bottom shelf for additional storage, the piece showcases a unique based design and rustic plank top. 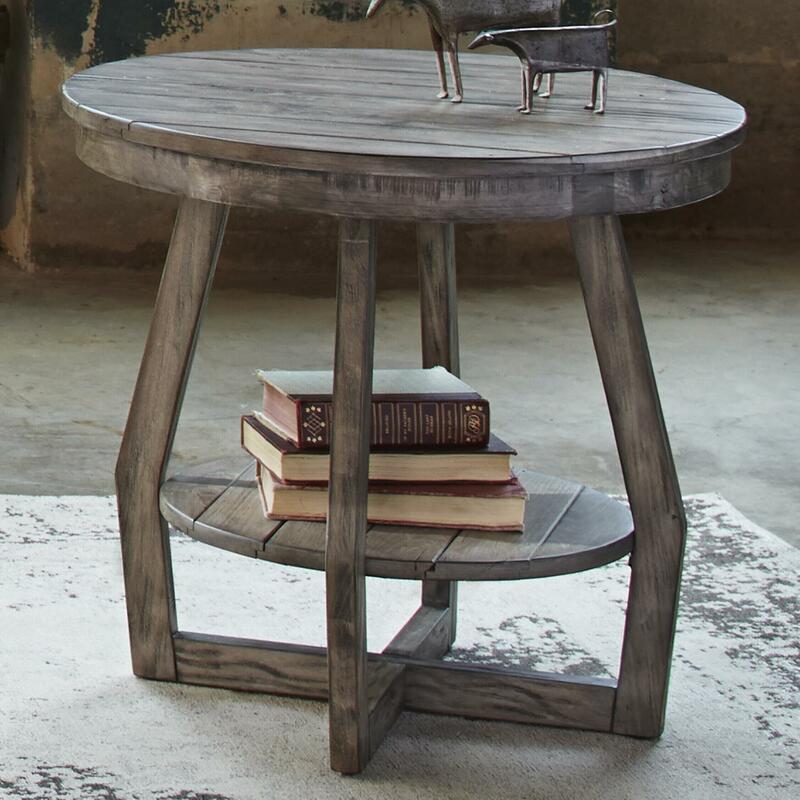 Completed with a gray wash finish, this table will serve you well for years to come. The Hayden Way End Table with Shelf by Liberty Furniture at Furniture Fair - North Carolina in the Jacksonville, Greenville, Goldsboro, New Bern, Rocky Mount, Wilmington NC area. Product availability may vary. Contact us for the most current availability on this product. The Hayden Way collection is a great option if you are looking for Casual furniture in the Jacksonville, Greenville, Goldsboro, New Bern, Rocky Mount, Wilmington NC area. Browse other items in the Hayden Way collection from Furniture Fair - North Carolina in the Jacksonville, Greenville, Goldsboro, New Bern, Rocky Mount, Wilmington NC area.